This blog is about films of Director Ahn Jae Huun. 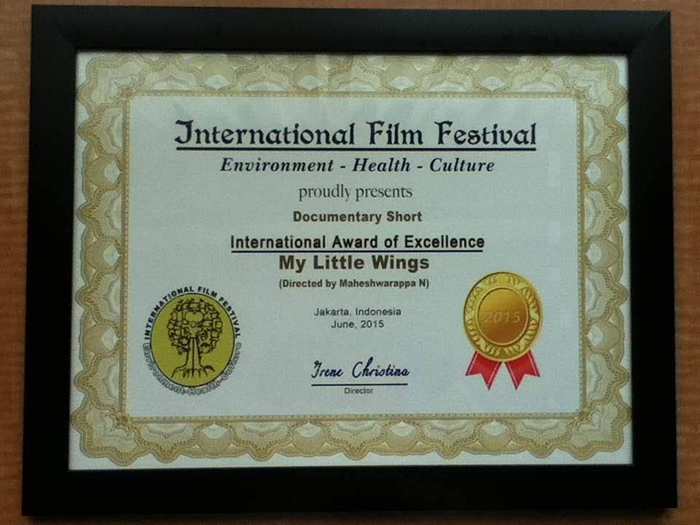 "My Little Wings", a short documentary film directed by Mahesh Ningegowda who has been with us from 2013 to 2014 learning animation, received 'International Award of Excellence' in International Film Festival, Indnesia! We are happy to hear this news.